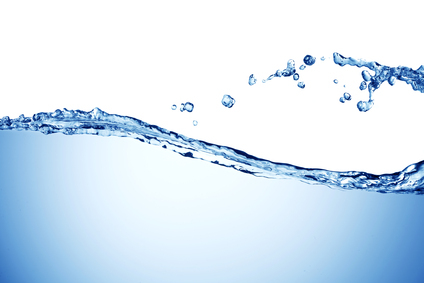 For water to be allowed to be used for a certain end-use, it must pass through the water treatment process. End use can be used to refer to many processes such as water recreation, river flow maintenance as well as irrigation. It could also mean industrial water supply and even drinking. The process is carried out using water treatment systems with the aim of eliminating unrequired components as well as contaminants. Where it’s not possible to entirely eliminate them, the process aims at lowering their concentration level. Some of the products that can be eliminated by water purification systems include viruses, algae and suspended solids. The process can also eliminate fungi, minerals and bacteria. Minerals that are found in water and need to be eliminated include manganese and iron. Water that is meant for human consumption should be pure enough so as not to pose a health risk to the humans. All the components mentioned above should be removed if water is to be ruled fit for human consumption. Drinking water purification can be carried out in three broad categories. There is the biological process, the chemical process and the physical process. The biological process consists of slow sand filtration while the chemical process consists of coagulation and disinfection. In the case of the physical process, several methods can be used and they include filtration and settling. The problem with treating water for human consumption is that care must also be taken in the distribution and the conveyance processes. Failure in one of the following areas could lead to contamination of the water. There are guidelines that have been specified by the World Health Organization regarding water treatment for human consumption. Developed nations in Europe and United States have more rigorous standards that should be implemented for treating water for human consumption. You may find the information and resources available at Global Hydration to be very useful. While there are many processes that can be used in water treatment for human consumption, there are private companies that have patented technology to deal with each set of contaminant. For instance, the best way to deal with algae and other contaminants of that nature is through pre-chlorination. To deal with dissolved minerals such as iron and manganese, pre-chlorination in conjunction with aeration is the best way to handle the issue. Solids can be dealt with using sedimentation. Finally, particles in water can be dealt with using the filtration process. There are some industrial processes that cannot compromise on the quality of water they use and a good example is the production of silicon wafers. Other processes that require ultra-pure water include some metallurgical processes and space technology. For these cases, there are methods used to produce this water and they include ion exchange, reverse osmosis and distillation stages.